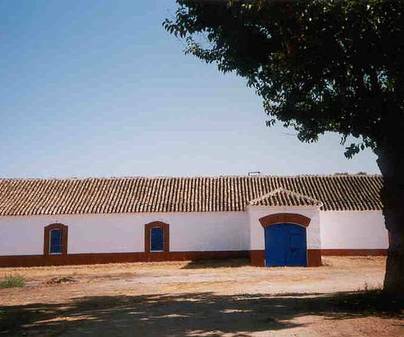 Villarta de San Juan, right in the heart of La Mancha, was already known to Azorín as “a white village, intensely white, of a matte white, with blue doors”. 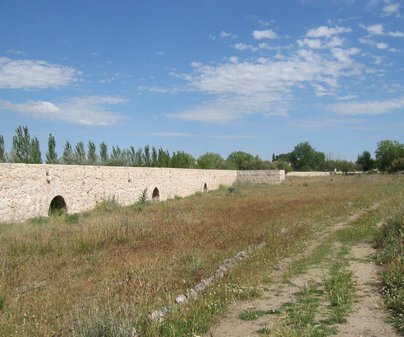 The structure and colors that attracted the writer’s attention are frequent in the south of the Castilian plains. 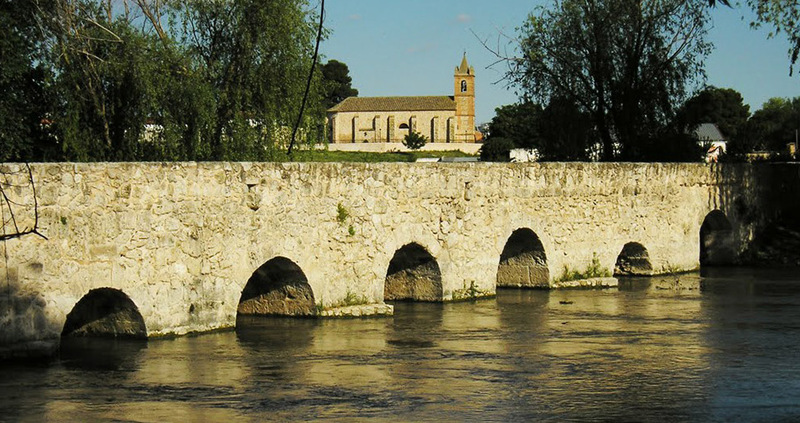 The Roman bridge of Villarta de San Juan stands out as well, three hundred meters long and five meters wide, with thirty-six uneven and asymmetrical eyes. Wineries and alcohol industries are part of the popular industrial architecture related to the wine sector in the area. They showcase gigantic brick chimneys, some of them in perfect conservation status. The factory ofLos Isla, inLas Erasstreet, is a building of wineries, distillation and rectification of alcohol from the end of the nineteenth century which remains active today. It stands out for the awnings of its façade and for the distillation tower. The structure of the chimneys includes a displacement in the rows of bricks which breaks homogeneity and is typically modernist.